The Minneapolis Public Housing Authority is governed by a nine-member Board of Commissioners, two of whom are public housing residents (one from family and one from highrise). The board members are appointed by the Mayor and City Council members. The commissioners are responsible for approving the agency’s annual budget and for setting policy. MPHA’s Executive Director/CEO, Gregory Russ, serves the Board. Regular Board meetings are held on the fourth Wednesday of each month except in November and December when meetings are held on the third Wednesday due to the holidays. Agendas, Packets, and monthly Performance Reports are normally published on this page the prior week. Meetings are sometimes cancelled and notices of cancellations will be posted on the meeting and agenda packet page. F. Clayton Tyler, Chair – “The primary role of the MPHA board is to be stewards of the Agency’s mission.”. Mr. Tyler grew up in North Minneapolis and has more than 30 years of criminal law experience. He is dedicated to the Twin Cities community. 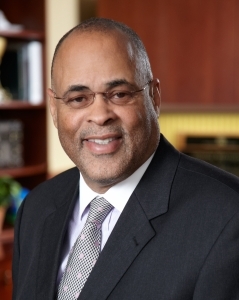 Along with serving as the Chair of the Minneapolis Public Housing Authority, he is on the University of Minnesota’s Diversity Committee, which deals with student athletes. He has served as Chair of the Minneapolis Urban League Board, and he founded the Minnesota Minority Junior Golf Association. Mr. Tyler is a Minnesota State Bar Association Board Certified Criminal Law Specialist, which is a title that only about fifty Minnesota lawyers possess. Charles T. Lutz (Vice Chair) – Deputy Director of Minneapolis Community Planning and Economic Development (CPED). Mr. Lutz has had 20 years of experience planning and developing complex economic and housing development projects, including Target Center, the historic Hennepin Avenue theaters, the Federal Courthouse, the Minneapolis Riverfront, and Heritage Park. He has a strong knowledge of municipal finance, property management, and the relationship between planning and development. Mr. Beckmen believes that housing is a human right. Since July of 2013, Mikkel has served as the Director of the Office to End Homelessness for Minneapolis and Hennepin County. The Office to End Homelessness is charged with coordinating the community’s implementation of the 10 year plan to end homelessness, “Heading Home Hennepin.” He is currently the Hennepin County Housing Coordinator. Commissioner Beckmen is a graduate of Luther College and resides in Minneapolis, the town he loves and grew up in. He has over 35 years of experience as a practicing architect in Minneapolis and has been involved in major civic buildings in Minneapolis such as the new Guthrie Theater, the Downtown Public Library, and the United States Courthouse and Federal Building. His experience has included involvement with development, real estate and public policy issues for both public and private clients. Mr. DeAngelo is a Fellow of the American Institute of Architects, was President of AIA Minnesota in 2008, and has received over 30 national and regional design awards. Abdullahi Isse – MPHA Family & Scattered Site Resident; Employee at Target Corp.
Commissioner Isse is a resident of Minneapolis Public Housing Authority. He works for Target Corporation and part-time for Marsden. He would like to help the community by serving on this board. Commissioner Isse is married and has two children, ages 2 and 4. Ms. Letofsky brings over 20 years of experience working with communities on economic development and affordable housing. Through Mill City Consulting, Ms. Letofsky supports community-based organizations and efforts with project management, strategic planning, and stakeholder engagement. Prior to starting MCC, Ms. Letofsky served as a policy aide for former Mayor R.T. Rybak, where her issue areas included housing. Prior to joining the mayor’s office, she worked as an executive director for several neighborhood organizations and started the City of Lakes Community Land Trust which provides permanently affordable home ownership opportunities in Minneapolis. She was appointed in 2015 to represent District 8 on the Metropolitan Council. Tamir Mohamud is a long-time resident of 1515 Park Avenue South and has held many leadership positions at the building, area and citywide level. He is currently MHRC Vice-President, a member of the MHRC Active Living Advisory Committee, the Project Lookout Coordinator for his building and president of his building resident council. He also co-chairs his building’s community vegetable gardening committee. Mr. Mohamud is active in the Elliot Park Neighborhood Organization and frequently presents public housing resident concerns and recommendations at town hall meetings and other public forums. Tamir also advocates for public housing resident concerns regarding safe walking and other pedestrian issues as a member of the City’s Pedestrian Advisory Committee. Faith Xiong is an Associate at Zan Associates working on transportation planning and construction communication and engagement within culturally diverse neighborhoods. Ms. Xiong has lived in Minneapolis since the age of 10. She currently lives in the Jordan neighborhood in North Minneapolis with her partner, and has a Master’s Degree in Urban and Regional Planning from the Hubert Humphrey School of Public Affairs at the University of Minnesota, where she concentrated on transportation and community development planning. Ms. Xiong believes that housing is an essential need to help individuals and families achieve dreams and raise future leaders.